What types of wireless remote controls are there? How to choose the right one? The rapid development of wireless remote controls has already occupied a place in many fields. A wireless remote control is a device used to remotely control a machine. Today, the wide application of wireless remote controls in life has brought great convenience to people. Industrial driving is one of the most widely used fields of remote control systems. In Germany, for example, it accounts for about 40% of the annual output of remote control systems. In particular, newly added vehicles such as metallurgy, automobile manufacturing, paper mills, and material warehouses are equipped with wireless remote controls! What types of wireless remote controls are there in use? 1. The common carrier frequency of the infrared remote control is 38 kHz, which is determined by the 455 kHz crystal oscillator used by the transmitting end. At the transmitting end, the crystal is divided by an integer. The division factor is generally 12, so 455 kHz ÷ 12 ≈ 37.9 kHz ≈ 38 kHz. There are also some remote control systems that use 36 kHz, 40 kHz, 56 kHz, etc., which are generally determined by the oscillation frequency of the crystal of the transmitting end; the advantage of the infrared remote control is that it does not affect the surrounding environment and does not interfere with other electronic devices. The disadvantage is that it can’t penetrate the wall, there is no barrier between the wireless remote controls and the receiver, and the control distance is short and the sensitivity is not high. 2. The frequency used by the radio remote control is 315mHz or 433mHz. The wireless remote controls uses the open frequency band specified by the state. In this frequency band, if the transmission power is less than 10mW, the coverage is less than 100m or does not exceed the unit range, it may not be necessary. Free to use after approval by the Radio Management Committee. China’s open frequency band is 315mHz, while Europe and the United States and other countries are 433mHz, so products exported to the above countries should use 433mHz remote control; radio remote control commonly used coding methods are three types, namely fixed code, learning code and rolling code. The learning codes and rolling codes are upgraded products of fixed codes. The rolling code remote control is currently the most secure. At present, all occasions with high confidentiality requirements use rolling coding. The remote control distance of the radio remote control is long, the low power can reach 100 meters, and the high power can reach 3000 meters, which greatly improves the convenience and safety of the operation, and is free from the interference of the goods, saving cost and improving efficiency. . The disadvantage is that it is susceptible to peripheral electronic devices. 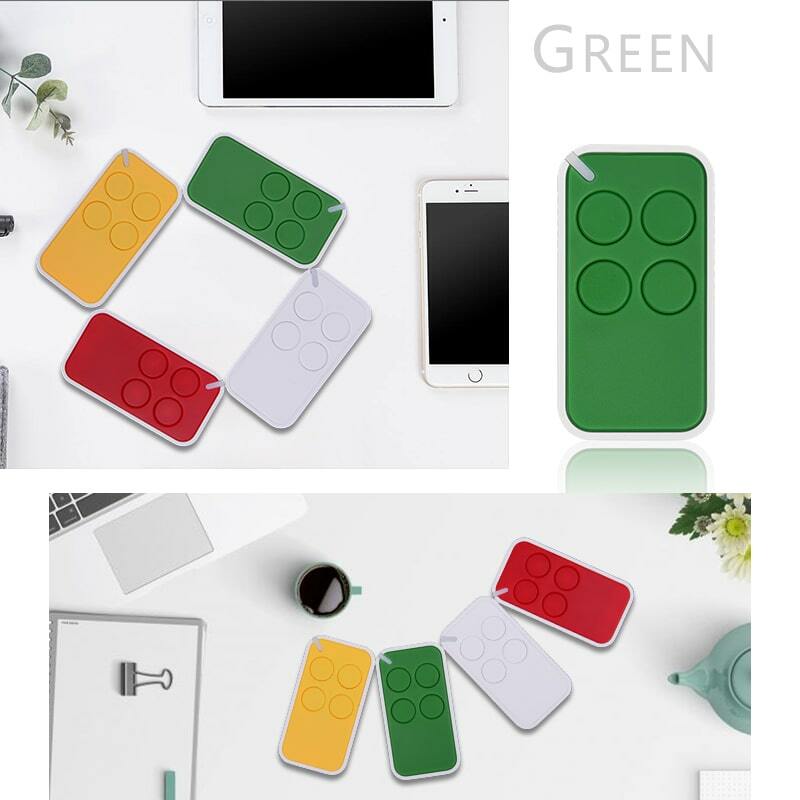 Yaoertai Technology intelligent wireless remote controls, beautiful and stylish design, functional and sensitive, suitable for all kinds of remote control switches, car alarms; home burglar alarm; various remote control, electric curtains, rolling doors, parking lot road control , industrial control products, etc. The design of the process is beautiful and fashionable, showing extraordinary, small size, light weight, and practical atmosphere, cheap, and cost-effective. Working frequency 315/433MHZ (special frequency can be customized), open space can reach 100 meters, high efficiency and sensitivity, sound table frequency stability, stable performance, high reliability; multiple choice of frequency points, cost-effective.